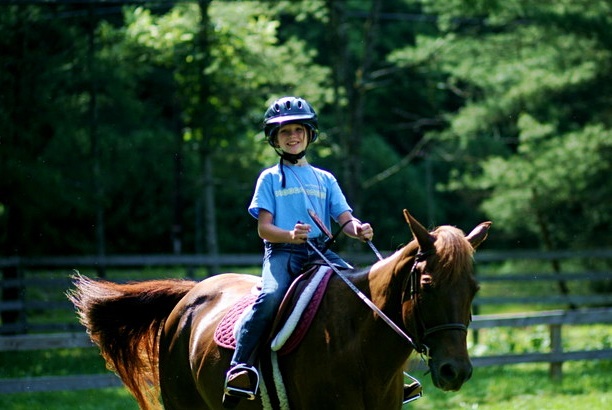 The Rockbrook horseback riding program is in full swing with lessons. Cara Thompson, the equestrian director, rejoined the staff yesterday after completing her first year of graduate school. Everette Bartlett, our farrier, will be working with several horses this morning as well. 4 Responses to "Horseback Riding in Full Swing"
LOOK! MY BABY DIEGA IS IN THE PIC!!!!!!!! !LUV U DIEGA!!!! i go 2 camp in like 6 days!!!!!!!!! !1 AHHHHHHHH I HAVEN’T PACKED ANYTHING!!!!!!!!!!!!!!!!!!!!!!!!!!!!!!!!!!!!!!!!!!!!!!!!!!!!!!! !1 I CAN’T WAIT TILL HORSES HORSES HORSES!!!!!!!!!!!!!!!!!!!!!!!!!!!!!!!!!!!!!!!!! Yeah camp today is ……… 10 days away yeah!!!!!!!!!! horses!!!! OMG horseback riding is AWESOME!!!!!!!!! I can’t wait 2 go 2 camp in 17 days!!!!!!!!!!!!!!!!!!!!!!!!!!!!!!!!!!!!!!!!!!!!!!!!!!!!!!!!!!!!!!!!!!!!!!! !